Nanoleaf Aurora, one of my favorite smart lighting systems on the market, is currently on sale at Best Buy thanks to Memorial Day. With the promotion, Best Buy is listing a Rhythm Starter Kit for $30 off its usual price, bringing it down to $199. Included in the Rhythm kit are nine LED Panels for sticking to your wall, plus the Rhythm sensor that reacts to sound in the room where your kit is connected. As an example, whenever I have my Rhythm activated and I’m playing music, I get a sweet light show from Aurora. The lights themselves can be set up with various scenes and custom colors, all programmable via the Nanoleaf app for Android and iOS. 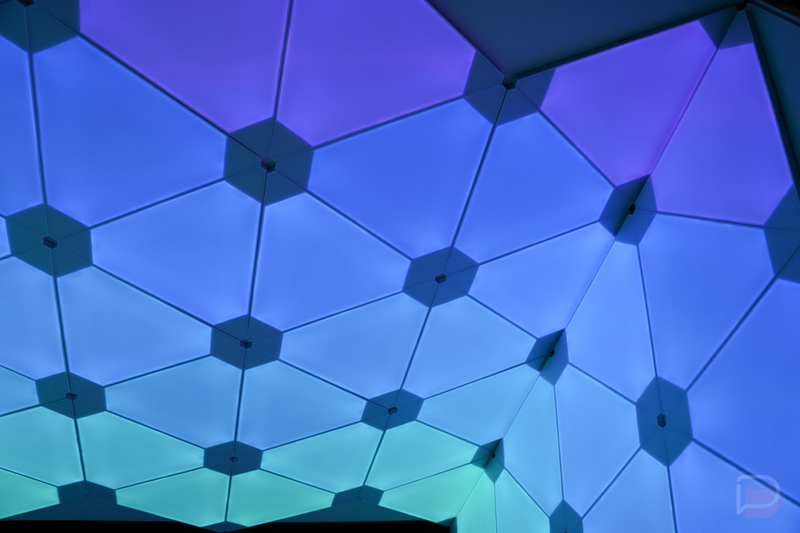 I actually did a big writeup for the Nanoleaf Aurora which you can see here. And yes, it works perfectly well with Google Assistant and Amazon Alexa.